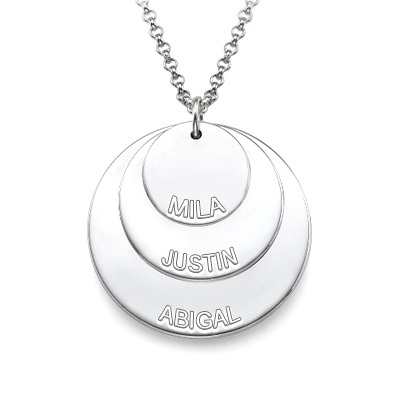 a gorgeous 925 silver triple disc pendant personalised with any 3 names of your choice and up to 8 characters per name. comes on a rollo chain in a choice of lengths. please select when ordering.